Even recruiters and hiring managers have to write their own resumes. Maybe you’ve come to a point when you’re ready to look for a new job. So yes, everyone needs to learn how to write a proper resume. From this position, you already know what employers are looking for in a resume. You know how quickly they judge the candidates. You know what highlights should be present. You’re aware of the dehumanizing practices in recruitment and you know how to spot an unfair employer. You also know what types of resumes freak them out. But, do you know how to write a resume that’s attractive for other recruiters or business owners? What if they don’t rely on the same criteria that became a habit to you? The following tips are very important for every recruiter who’s about to write their own resume. The new employment processing systems you’ve implemented. When someone is about to hire you in the role of a recruiter, they will be interested how your decisions will affect their company. The resume has to show that. You have experience in recruitment. You know how frustrating it is to see resumes full of grammar mistakes, gaps in work history with no explanation behind them, extreme familiarity, and other red flags. 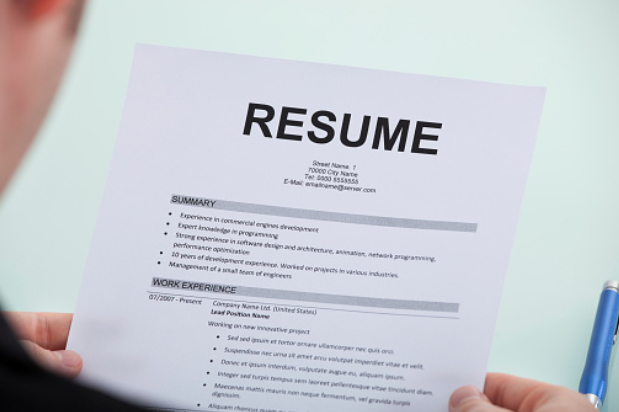 Take a moment to write down the most common mistakes you’ve seen in resumes. Then, keep them in mind when writing your own application. Maybe you’ve never been the one to judge a candidate too quickly. That makes you a rare one! Most business owners and hiring managers don’t bother spending much time with each resume that hits their desk. Think about it this way: you have ten seconds to make a good impression through the resume. What does this mean? You have to specify how your background is relevant to this job position. You have to make the content clear, but catchy at the same time. Through the experience and education that you highlight, you need to show how you understand the business world. The format and sleekness of your resume matter a lot! Your resume has to be fit for applicant tracking systems. Optimize the resume with all the right keywords and phrases regarding the position and industry you’re targeting, as well as your skills and experience. However, you must make sure these keywords look natural within the content you write. Maybe it’s too early for us to say that your online presence can replace a resume. However, great online presence definitely boosts your chances to get hired. And your resume has to link to it. Provide links to your LinkedIn profile. You’ve been using LinkedIn to its full potential, right? You have tons of connections that prove you take networking seriously. If that’s not the case, you better improve that aspect before you start applying for jobs. If you’ve been using Twitter professionally, include it in the links, so the employer can see your ability to use social media to attract talent. Do you blog? Great! If not, you better start. A link to a blog in the resume will definitely get the attention of a potential employer. If they visit the blog and they see great content related to your work, you’re getting in the close circle of candidates who will be interviewed. Trained employees for the local hospital. Trained over 300 employees on Occupational Safety and Health Administration for Massachusetts General Hospital over the period of one year. What statement sounds more convincing? It’s the second one, right? When you’re highlighting your accomplishments, you have to be very specific. Otherwise, the employer will think you’re lying or exaggerating. Write the facts! How long has it been since you’ve written your last resume? Yes, you know how the document should look like. Yes, you’re ready to work hard on it. After all that hard work, however, it will be hard for you to identify its flaws. Why do you think famous reporters and writers need editors? The editor approaches the content from a reader’s point of view. They know what the person who’s supposed to read this content is looking for. A professional editor, or even a professional writer, can help you get the resume as close to perfection as possible. You know how important the resume is. That’s why you have to work diligently on it. Each job ad calls for a different resume. You’ll include the same skills and experiences, but you’ll focus on the points that are relevant for that particular position. The above-listed tips should help you craft a great resume. If you’re not there yet, keep editing!